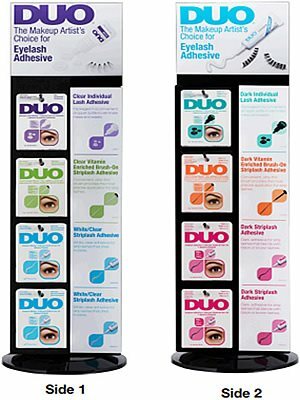 DUO, the most recognizable eyelash adhesive brand, presents this 48 piece counter pegboard display featuring all six DUO adhesives. 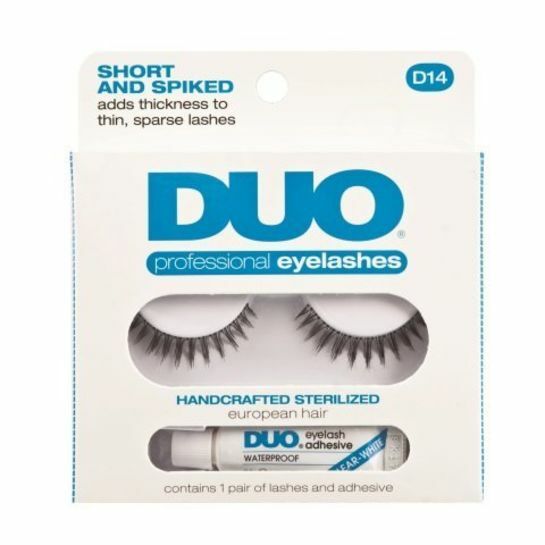 With a variety of adhesives including strip lash, brush-on strip lash and individual lash, in both clear and dark tones, there is an adhesive offered for every lash wearer. 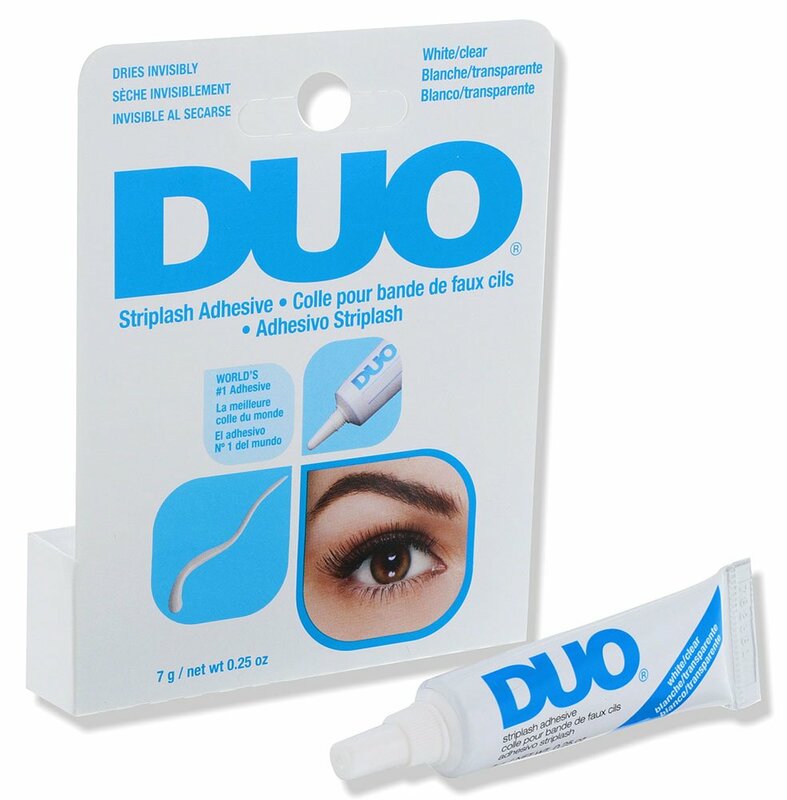 The graphics on the display provide consumers with education on each adhesive type, and for easy of shopping, the display sits on a revolving base with dark adhesives featured on one side and clear adhesives on the other. Check Fit. 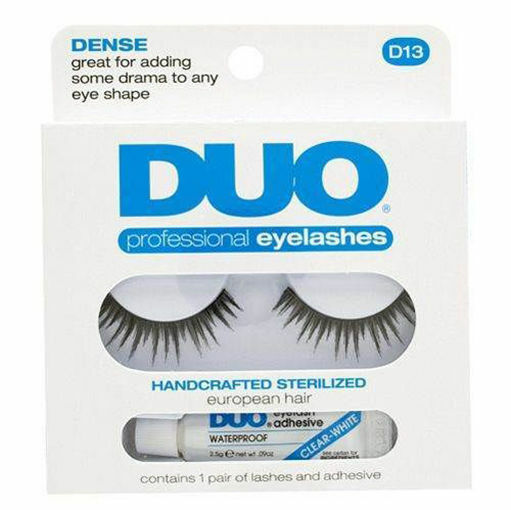 Gently lay lash on top of your natural lash. If the false lash extends beyond your natural lash line, trim the excess with small scissors. Apply Adhesive. 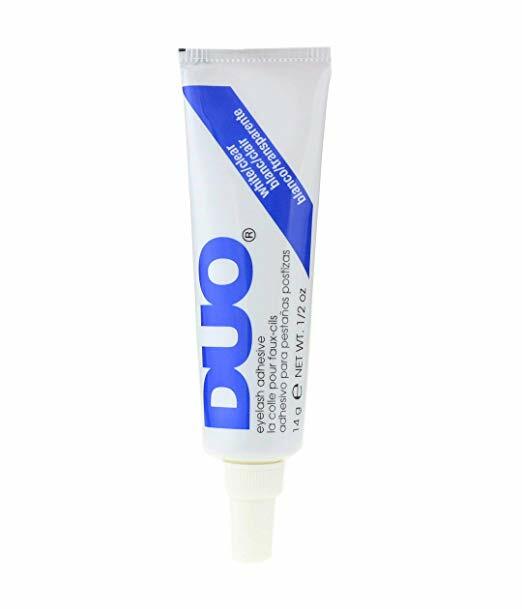 Squeesze a thin line of DUO (Surgical) Adhesive or DUO Eyelash Adhesive along the lash band. A flat toothpick can be used to spread it more evenly. Wait for 30 seconds for adhesive to set. Apply Lash. 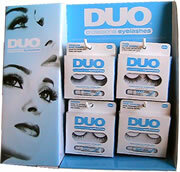 Place the lash as close to your natural lash line as possible. Use your fingertip to gently press along the band securely in place.